With the number of social network users expected to exceed 3 billion by 2021, it should be no secret that your social media strategies need to be a part of your marketing plan. But before you start randomly posting to Facebook or Twitter, take a moment to read through these tips for social media marketing. After all, if you want to have success with social media, you need to follow a few guidelines. In the social media world, a picture is worth a thousand shares. People are naturally drawn to images and are therefore much more likely to interact with a post if it includes a picture. This is first on our list of digital strategies because it’s the most important. If you’re not using images in every one of your posts, then you need to start doing so immediately. There are too many social media platforms out there for you to become a master of every one of them. Besides that, if your target audience isn’t on Instagram, then you’ll just be wasting your time. Figure out where your target audience spends the majority of their time, and use that platform. A good way to do that is to look at some of the biggest companies in your industry and see where they have the largest followings. If you post a dozen times per day on Facebook, it’s considered annoying. However, if you only post 3 times per day on Twitter, you’ll get lost in the shuffle. Once you’ve picked your platform, find out how many times you should be posting in a day or week. Then, start posting that often. Once you know how often you need to post, you can start figuring out what time your audience is active, and most likely to see your post. After all, it doesn’t matter how great a post is if your audience isn’t around to see it. A working man, for example, would likely be on social media in the evenings whereas a stay-at-home mom would be on more often during the day. Many sites have analytics in place where you can see when your audience is most engaging so you can target those times. If you’re feeling overwhelmed with the thought of having to post a certain number of times a day during certain times, take a deep breath and relax. If you want to be successful at implementing these social media strategies, you need to make it easy and automate your content. Use websites like Canva to create your images, and Buffer to schedule posts in advance so you can’t have to be glued to your computer all day just to use social media for marketing your business. Don’t be afraid to ask your audience to share your posts. Although they may like what they read or see, they may not think of sharing it until prompted. When your post is shared, it will quickly reach a much wider audience. The other reason sharing is important is for SEO purposes. This is because you gain backlinks to your site as people share your content on their page. Backlinks from social media sites are valuable because these big sites are authority sites. Google ranks websites higher when people on social media talk about them. Several social media platforms allow you to create a poll as a post. Use these to get higher levels of engagement but also to figure out what your audience likes. Don’t be afraid to ask them what types of content they prefer. Just don’t forget to use the results of these polls to share or create the content that your audience is looking for. When your audience sees that you listened to them by addressing their concerns, they will become more loyal customers. Get creative with the content you share. You’ll need a lot of it to keep sending posts out to your followers. The majority of your content should come from your own website, but there’s also value in sharing content from others in your industry as well. Tagging another industry leader when you share their content is a great way to put yourself on the radar of their audience. This could gain you some new followers as you already know they’re interested in what you’re doing. Social media should be just that: social. It’s why people use these platforms. They want to interact not just with people they know personally, but with celebrities and businesses, too. It’s obvious when a company gets how important social media is to engage with customers. You see it with some of the big companies like Wendy’s who told a teen he could have a year’s worth of free chicken nuggets if he got 18 million shares. Reply to comments, give shout-outs to loyal customers, and answer questions from your customers in videos. There are too many ways to engage with your audience for me to list here. Social media is always changing which means it can be hard to tackle it all yourself, especially if you’re running a one-man (or one-woman!) show. 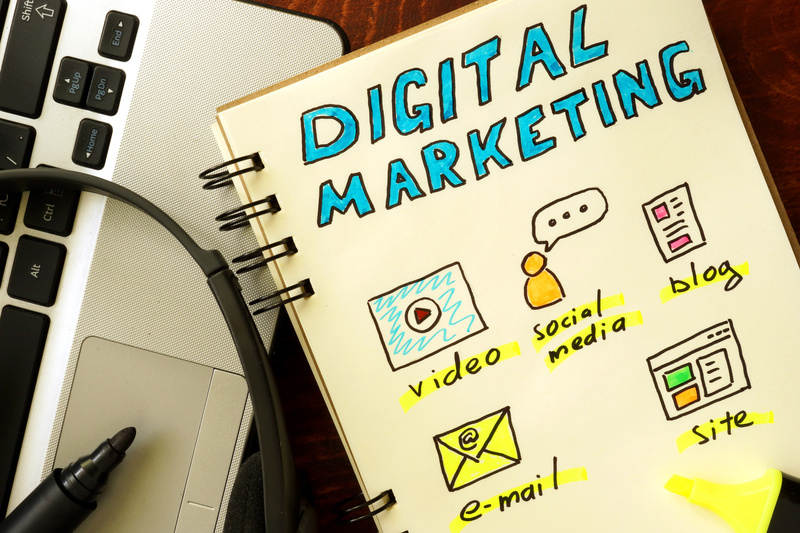 Before you dive in, you need to ask yourself if you really have time to master digital marketing. Fortunately, there are people like me that make it their business to know social media marketing inside and out. I learned everything and continue to learn as changes happen so you don’t have to. Most entrepreneurs and small businesses find that it will save them money by saving them a ton of time to outsource this part of their business. They can also make more money quicker since they have an expert at the wheel. Now that you’re armed with the knowledge you need to use these social media strategies to grow your business, it’s up to you to implement them. Be sure to check out the blog for more information about online marketing, or contact us to find out how I can help you expand your business using social media.